Most people are taking some time at the end of the year to relax and reminisce about the year that has passed. We here at the Stevie Awards, however, are busy preparing for a busy 2015. Among the things that will keep us busy right after the turn of the year is the January 13 final entry deadline for the 9th annual Stevie Awards for Sales & Customer Service, the world's top contact center and customer service awards program. Each year this competition attracts more than 1,500 nominations from top organizations all over the world. There are many categories to choose from in the competition, and you'll find a complete listing of the customer service and contact center categories and their requirements below. It's pretty simple to submit entries to this or any other of our awards programs. Before we get to the subject of how to win two Stevies with a single entry, here's a brief description of the entry process. The question we get most often from prospective entrants is, How do I choose the categories that are right for me? We answer that question with another question: What do you want to be recognized for? Your answer to that question will steer you to the appropriate categories. We invite you to contact us at help@stevieawards.com for suggestions if following that bit of advice doesn't do the trick, though. 2. Prepare your entries according to the category instructions. Most categories in the 2015 Sales & Customer Service awards require only the submission of an essay of up to 650 words, describing the nominee's achievements since the beginning of July 2013. (Depending on the category, the nominee can be an entire organization, a department or team, an individual... even a product or service or achievement.) You have the option to upload with your essay any number of supporting documents and files to help make your case to the judges. These can include work samples, videos, images, press clippings... whatever you think will convince and impress. 3. Upload your entries through the website. The website at www.StevieAwards.com/Sales is open 24 hours a day to accept your entries. You can even pay your entry fees online by credit card (or choose to pay by check or wire transfer). If you've already written your entries and gathered your supporting materials, it won't take you more than a few minutes to start and finish the online entry process. Now, back to that bit about how to win two Stevies with a single entry. One of the most popular features of the Sales & Customer Service awards is called the People's Choice Stevie Awards for Favorite Customer Service. This is a worldwide public vote in which the general public gets to cast their ballots for their favorite providers of customer service in a number of industry categories. (See the list of 2014 winners here.) All entries that are chosen as Finalists in any of the Customer Service Department of the Year categories will automatically be included in people's choice voting, which will open to the public on January 22, the day that the Finalists are publicly announced. People's choice nominees will receive from us a set of tools they can use to encourage their customers, employees, shareholders, friends and followers to vote for them. The top vote-getter in each category will receive a beautiful crystal People's Choice trophy. 1. Submit a great entry to any of the Customer Service Department of the Year categories in the 2015 Stevie Awards for Sales & Customer Service. If that entry is chosen as a Finalist, it's assured of ultimately being named a Gold, Silver or Bronze Stevie Award winner. 3. 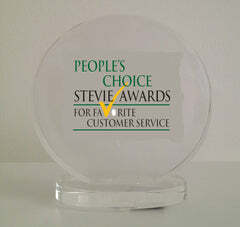 Promote the heck out of your automatic People's Choice Stevie Awards for Favorite Customer Service nomination to all of your customers, employees, friends and followers, and you might also walk from the awards gala on February 27 at the Bellagio in Las Vegas with a People's Choice Stevie Award as well as a Gold, Silver or Bronze Stevie. (a) An essay of up to 650 words describing the nominee’s accomplishments since July 1, 2013. Recognizing the achievements of customer service professionals who work behind the front lines of customer service organizations for their achievements since the beginning of July 2013. Recognizing the achievements of contact or call center managers for their achievements since the beginning of July 2013. Recognizing the achievements of senior contact or call center executives for their achievements since the beginning of July 2013. The customer service team and contact center awards categories recognize the members of individual teams within your overall customer service department or contact center organization. For example, the team may service a particular customer segment or a single client, or may work in a particular call center. (a) An essay of up to 650 words describing the customer service team’s accomplishments since July 1, 2013. (a) An essay of up to 650 words describing the nominee’s accomplishments since July 1, 2013 in the area covered by the category. The customer service department categories recognize everyone who works in customer service in your organization, regardless of their role or location. (a) An essay of up to 650 words describing your customer service department’s accomplishments since July 1, 2013. Need help with any of this? Contact us at help@stevieawards.com or +1 703-547-8389. Final tip: Check out our free tipsheet on How to Win Customer Service Awards. Our "How to Win" tipsheets have proven to be popular and helpful to prospective nominees in our various Stevie Awards programs. And we've just published a new one, entitled "5 Tips for Winning Customer Service Awards in the Stevie Awards." The publication is timely, as the final entry deadline for the 2014 Stevie Awards for Sales & Customer Service is January 14. There are categories for customer service departments, teams, and individual performers, categories for various kinds of customer service achievements, and much more. This tipsheet will help you to choose the categories and competitions in which you'll have the best chance of winning a Stevie Award. 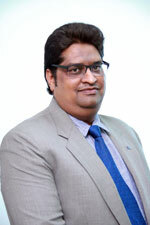 Sanjeev Garg, Global Head of Customer Care at the Commercial Vehicles Business Unit of TATA Motors in Mumbai, India, will chair the final judging committee for the individual performance categories in the customer service awards section of the 2014 Stevie Awards for Sales & Customer Service. Entries for the competition will be accepted through January 14 - get your entry kit here. As someone in charge of a global customer care department, Sanjeev told us about what he believes are the top three best practices that should be implemented to make a customer service group world class. 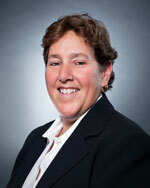 - Benchmarking of practices with the best in the industry. Sanjeev loves his work. “This daily process of self-challenging is enthralling,” he told us. In his senior customer care role, he feels that he still has a lot to learn and to contribute to society, which can be achieved through this profession. Sanjeev has been the Global Head of Customer Care for the Commercial Vehicle Business Unit of Tata Motors since December 2011. His customer care group is spread across four continents and supports more than 3 million Tata Motors vehicles through 2,300-plus service touch points and over 33,000 retail networks of spare parts. Sanjeev started his career with Novartis and Godrej Soaps Ltd in 1990 .He then joined DCM Daewoo-Toyota. There he was instrumental in launching the Cielo, India’s first premium car, in 1994-95. He also created a dealer network for DCM-Daewoo Motors in India and went on to head the export vehicles business for that company. In 1996, Sanjeev joined General Motors Ltd and was instrumental in launching new initiatives for the customer satisfaction index and new Competitive Intelligence processes. His work at GM encompassed global geographies including South East Asia, the Middle East, Latin America, and the South Asian Association for Regional Cooperation (SAARC). Under his leadership, GM was ranked No. 1 in customer satisfaction in the Middle East, ahead of Toyota, Honda, and Nissan. He is also credited for the successful launch of the Chevrolet brand in India. Sanjeev worked briefly for Force Motors, India as President-Sales, Service & Marketing, and was instrumental in launching Force One, the first SUV from Force Motors. A Gold Medalist from the College of Agriculture Engineering in Jabalpur, Sanjeev went on to complete an MBA degree from the Indian Institute of Management in Ahmedabad. Based in Mumbai, India, Sanjeev is married and has one son. He has a strong interest in sports, especially Formula 1, tennis, and golf. He loves travelling, reading, and understanding different cultures. Tata Motors is India's largest automobile company, with consolidated revenues of Rs. 1, 88,818 crores ($34.7 billion) in 2012-13. Through subsidiaries and associate companies, Tata Motors has operations in the UK, South Korea, Thailand, South Africa, and Indonesia. Among them is Jaguar Land Rover, the business comprising the two iconic British brands. It also has an industrial joint venture with Fiat in India. With over 8 million Tata vehicles plying the roads in India, Tata Motors is the country's market leader in commercial vehicles and among the top in passenger vehicles. It is also the world's fifth largest truck manufacturer and fourth largest bus manufacturer. Tata cars, buses, and trucks are marketed in Europe, Africa, the Middle East, South Asia, South East Asia, South America, the CIS, and Russia. 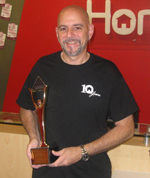 HomeServe USA’s Joe Greco won the Gold Stevie Award for Front-Line Customer Service Professional of the Year in the customer service awards categories of the 2013 Stevie Awards for Sales & Customer Service, the world's top honors for sales, business development, contact center, and customer service professionals. The entry deadline for the 2014 edition of the awards is November 13 - get your entry kit here. Joe Greco joined the HomeServe USA family in November 2011 as one of the company’s 150 proficient inbound sales and service agents. He made an instant impact on the department. From his very first month on the phones, it was clear Joe was going to do great things in the world of sales and customer service as he exceeded his sales goal at 169% to target, hit 173% of his upgrade goal, and hit 148% of his continuous conversion goal—all while maintaining an average quality rating of 99.31% on screened calls against an extensive compliance and customer service screening criteria. Not bad for the new kid on the block! • 96.3% adherence to time scheduled on phone versus a 93% goal. Joe is a model employee and has achieved the impressive performance levels above with a perfect attendance record. He continues to set the benchmark of what an excellent customer service and sales executive looks like. As a result, Joe has been recognized twice in the past year as the Inbound Department Employee of the Month, a feat that no other HomeServe USA agent has ever achieved in a 12-month period. Joe’s most impressive achievements, however, lie away from the statistics. He has received an unprecedented seven customer commendations in the past year from delighted customers who have gone out of their way to pass on their feedback to the HomeServe USA supervisors, thanks to the high standards of best customer service Joe provides when handling inbound sales and service calls. All of these commendations mentioned Joe’s professionalism, patience, and extensive knowledge together with his ability to ensure that HomeServe USA customers gained a true understanding of the products and services they were using or about to purchase. Joe is equally supportive, considerate, and respectful amongst his peers, and he is always willing to help. He is regularly used as a mentor and coach by the leadership team for incentive programs to benefit both new and existing staff. His humility and expertise are perfectly balanced to complement this learning method. The management at HomeServe makes every effort to deliver a world-class customer service and are incredibly proud of all the company’s sales and service agents, but when they look at Joe and what he has achieved in his career at HomeServe, they know they have a true industry-leading front-line customer service professional. 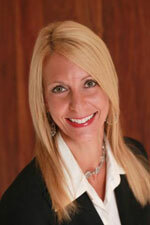 2013 is HomeServe USA’s 10th anniversary serving customers. This milestone recognizes when the company signed with its first US partner, which opened the door for the company to begin enrollments and ultimately to serve customers in the United States. The company’s parent, HomeServe plc, has been around for 20 years, and was founded in the UK in 1993. Joe is a true customer service professional with over 30 years experience in sales and customer service, including 10 years in automobile sales and 20 years in telemarketing for church directories. Since joining HomeServe USA in 2011, Joe has become an integral part of the team and is very popular and respected by his peers. Joe enjoys the challenge of building rapport with callers and striving to exceed their expectations, whether resolving an issue they have or selling them a new product or service. HomeServe USA Corp (HomeServe) is an independent provider of home emergency repair service plans. For over a decade, the company has protected homeowners against the expense and inconvenience of water, sewer, electrical, HVAC, and other home emergencies by providing affordable coverage and quality service. HomeServe serves over 1.4 million homeowners in the US and Canada and dedicates itself to being a customer-focused company providing best-in-class emergency repair plans through leading utility partners and directly to consumers. For more information about HomeServe, please go to www.homeserveusa.com, follow us on www.twitter.com/homeserveusa, and like us on Facebook at www.facebook.com/homeserveusa.